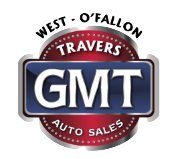 Travers Automotive & RV Group invites all those in O'Fallon or St. Louis, Missouri that are looking to upgrade their vehicle to value their trade-in online through our interactive website! Hazelwood, Eureka and Florissant drivers turn to our automotive group for trade-in assistance for a number of reasons. We provide fair, competitive vehicle appraisals, hassle-free experiences and car values that come with no obligation. Don't miss your chance to upgrade to one of our used cars for sale or to secure a high-tech RV, value your car online through Travers Automotive & RV Group now!